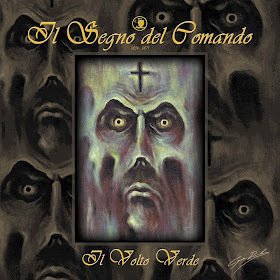 Il Segno del Comando began life in Genoa in 1995 as a studio project with the aim of reproducing the sound and the atmospheres of bands from the seventies such as Goblin, Il Balletto di Bronzo or Jacula. In 1996 an eponymous album was released on the independent label Black Widow Records, inspired by the novel of the same name by Italian writer Giuseppe D'Agata. In 2001 the band released e second album, Der Golem, inspired by a novel by Austrian writer Gustav Meyrink. 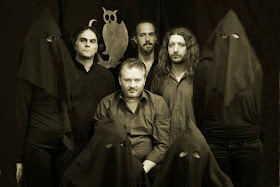 In 2013, after a long hiatus and with a renewed line up featuring founder member and main composer Diego Banchero (bass, keyboards, Theremin) along with Giorgio Cesare Neri (guitars), Maethelyiah (lead and backing vocals), Fernando Cherchi (drums, percussions), Maurizio Pustianaz (keyboards, piano, organ), Roberto Lucanato (guitars) and Davide Bruzzi (giutars), the band released another concept album inspired by a novel by Gustav Meyrink, Il volto verde (The Green Face). Many prestigious guests contributed to enrich the sound, among others Claudio Simonetti from Goblin, Gianni Leone from Il Balletto di Bronzo, Martin Grice from Delirium, Vinz Aquarian from Il Ballo delle Castagne and Sophya Baccini. The result is excellent and the music and lyrics perfectly fit the concept although I fear that is almost impossible to completely appreciate this complex work without having read the book that inspired it. The dark, Gothic “Chidher il Verde” (Chidher the Green) focuses on the peculiar character with the green face, vaguely based upon the legendary figure of The Wandering Jew. He's been on earth ever since the moon has been circling the heavens and is the one who can show you the way leading to a hidden spirituality... “Prophecy or circularity, claustrophobia, psychic undertow / You are just one step from the gallows / It's the turn of madness to rule over men...”. The following “Trenodia delle dolci parole” (Threnody of the sweet words) features the beautiful vocals of the guest Sophya Baccini and draws a strong sense of loss and impending tragedy. 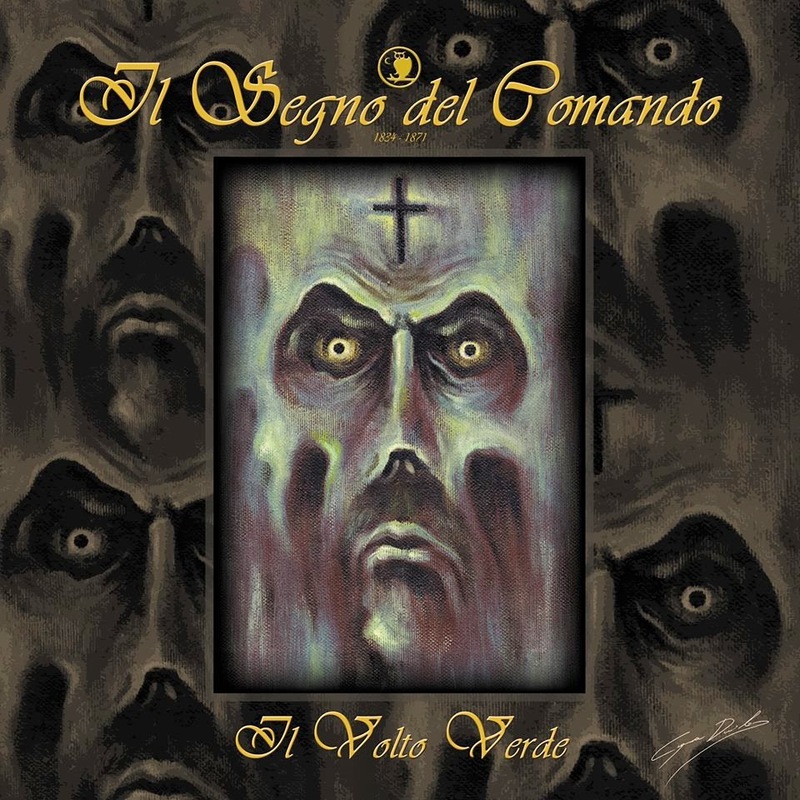 It leads to the short, disquieting instrumental “Il rituale” (The ritual) and to the esoteric, threatening “La congrega delle Zee Dyk” (The Zee Dyk club) where the spectral vocals of another guest, David Krieg, contribute to draw a mystical delirium where the dangerous ritual of a cathartic, spiritual rebirth is consumed with deathly consequences. “Il manoscritto” (The manuscript) is another track full of dark mysticism and visionary strength. There are some strong classical influences that could recall the Carmina Burana by Carl Orff and a constant flowing of raw energy waves. The protagonist discovers an ancient manuscript that helps him to go through some esoteric experiences... “The weapons of Death are: dream, daze and sleep / From one awakening to another, I live to find a new beginning...”. “Usibepu” was inspired by the character of the powerful necromancer and shaman of the same name, a violent and merciless Zulu warrior who wanted to possess Eva, the protagonist's fiancée... “Serving under the banner of greediness / I attend to the resurrection / I think again of the caste determination that prevented me from having you / Making even mockery of my magic...”. The dazzling instrumental “L'apocalisse” (The Apocalypse) features the guest Gianni Leone (keyboards, organ, vocals) and describes with sudden vortexes of notes a storm so violent to conjure up the imagine of the end of the world. It leads to the final curtain of “Epilogo” (Epilogue), featuring narrative vocals and an obscure omen... “The walls of Jericho have crumbled / He's back from the Kingdom of Dead...”. On the whole, an excellent, challenging work but beware! It takes many spins to be completely appreciated and, of course, you have to read the book!